A shorter version of this editorial was published in the Halifax Metro newspaper special edition on unions, published April 24, 2017, along with this ad (see photo below). 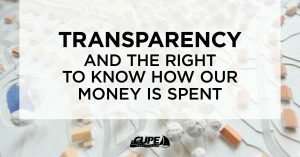 Time and time again provincial governments are forced to admit they were wrong to use public private partnerships (P3s) to construct health care facilities, costing taxpayers billions of dollars. Yet here we are as the McNeill Government embarks on another foreseeable failure with the QEII redevelopment project. Last year, the Liberal government realized their mistake to privately construct and lease 39 schools. They should have owned the schools outright from the start. They recently bought back the leases for 26 of the schools, at an additional cost of approximately $162 million. The alternative was to walk away empty handed, while developers pocket the money spent over the years ($726 million on principal and interest payments) and keep the buildings. First P3 schools, now P3 hospitals. It was recently reported that the government paid 12 times the assessed value of land purchased for a new outpatient centre. Similar in scope to the QEII redevelopment, a review in 2014 of the P3 used to finance Montreal’s University Health Centres found that the capital costs were at least $1.8 billion over the original price tag. 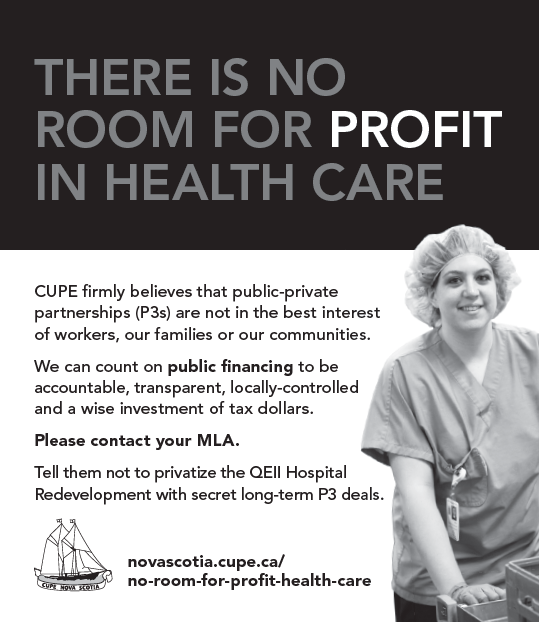 See more examples at novascotia.cupe.ca/no-room-for-profit-in health-care. 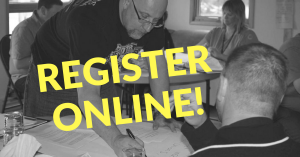 Why would the McNeil Government rely on P3s with higher-cost private financing? There’s a desire by many politicians to keep borrowing costs off their books, at least in the short term. P3s are not in the best interest of workers, our families or our communities.